Not sure what eyeshadow you should be wearing? Or how to blend it to perfection? Then this one’s for you. Although eyeshadow palettes reside in almost every woman’s beauty closet, they often just sort of sit there – with the exception of those one or two foolproof shades, that is. With that in mind, Savoir Flair tapped international makeup artist Daniel Busuttil, the Europe Director of Education and Artistry for NARS, for his top eight rules of eyeshadow application. The first thing you should consider is if your eyes will be the focus of the makeup look you will be creating or not; this will indicate whether you should be opting for subtle tones or bold shades. For a more natural look, choose colors that complement your skin tone – warm tones for golden complexions, cooler hues if your skin tone is cool. However, if eye makeup is the focus of your look, you can pick any shade you want. If you wear glasses, stick to matte textures as shimmer can sometimes be a little overpowering when seen through a lens. This doesn’t mean that you can’t wear shimmer at all, but opting for finer shimmer textures as opposed to glitter and focusing the application just below the crease of the eye will ensure your eye makeup is not too strong. For more makeup tips catered to women who wear glasses, click here. Eyeshadow primer is very important. 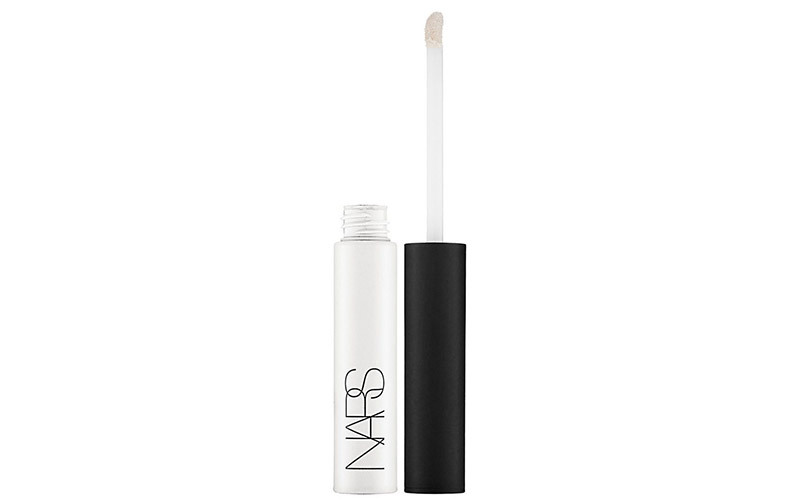 This ensures that the delicate skin on the eyelid is smooth and your eye makeup has a base to adhere to. The one below is our personal favorite. Mixing eyeshadows is an important part of creating your own individual look, so everyone should give this a go. It can be a little tricky when mixing shimmery and matte textures, so always layer any shimmer over matte instead of the other way around. Texture comes down to personal preference. A cream eyeshadow, however, will always be more sheer than a powder and easier to blend with fingers. On the other hand, if you prefer a more intense pay-off, try layering powder eyeshadow over a cream base. A classic eyeshadow brush and a blending brush are must-have tools for eyeshadow application. These brushes allow for the two most common eyeshadow-application techniques: building and blending. We all put our body shape into context when choosing what to wear, and the same rule applies for eye makeup. Matching your eye makeup to your eye shape is definitely the way to go, and it’s also important to understand that not all eye-makeup looks are suitable for every eye shape. There’s nothing worse than patchy or unblended eye colors – and no excuse to justify it. Simply invest in a good blending brush and take an extra couple of minutes when applying; it makes a huge difference. Now find out which eyeshadow shades you should be wearing.